As highly complex and dynamic systems, cities in the Americas not only serve as habitats for the majority of people and constitute economic and political centers linking peripheral regions with globalizing markets; they also function as nuclei for the hybridization of cultures and as ‘labora-tories’ for the formation, reformation, and transformation of ethnic selves and communities. Thus, in a globalizing context, urban agglomerations in particular provide spaces for both the transgression and dissolution of national and cultural boundaries and for the redefinition of ethnic identities. From a number of different disciplinary perspectives—ranging from literary and cultural studies via history and sociology to urban geography—, the contributions to this collection are concerned with this intricate relationship between urban environments and ethnicity. 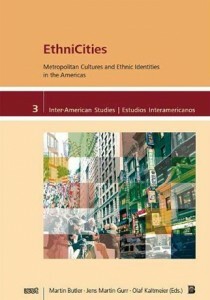 They provide both theoretical approaches and case studies on a variety of urban regions in the Americas in order to come to a better understanding of how the infrastructural, economic, political, social, and cultural parameters constituting urban environments contribute to shaping, or reshaping, individual and collective ethnic identities.